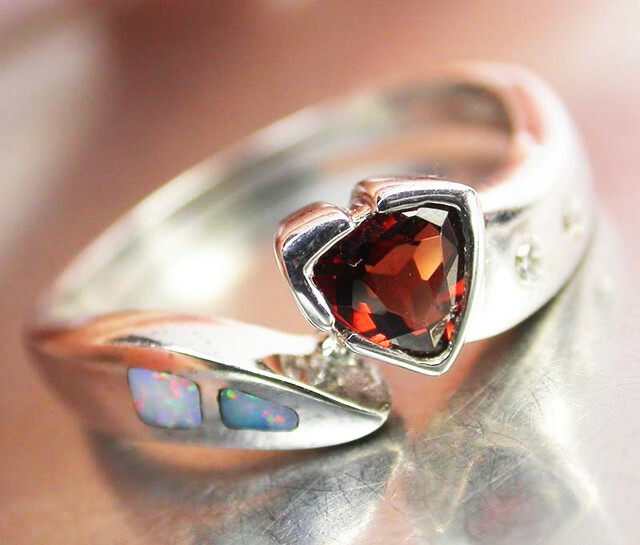 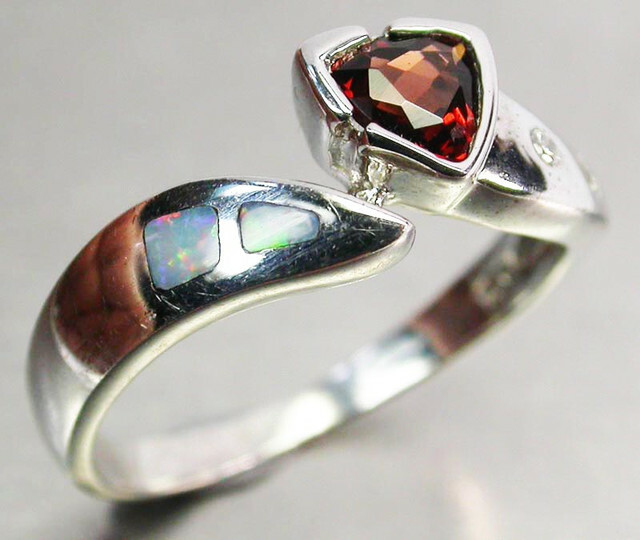 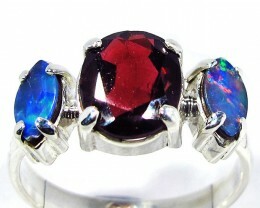 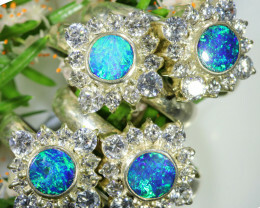 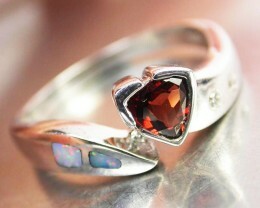 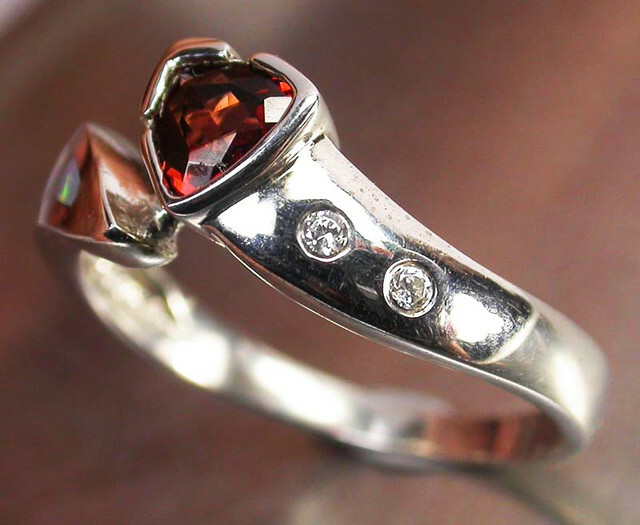 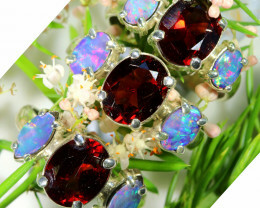 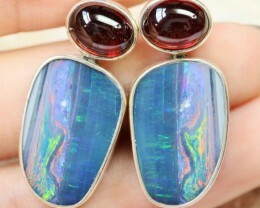 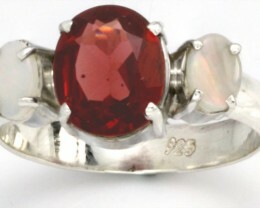 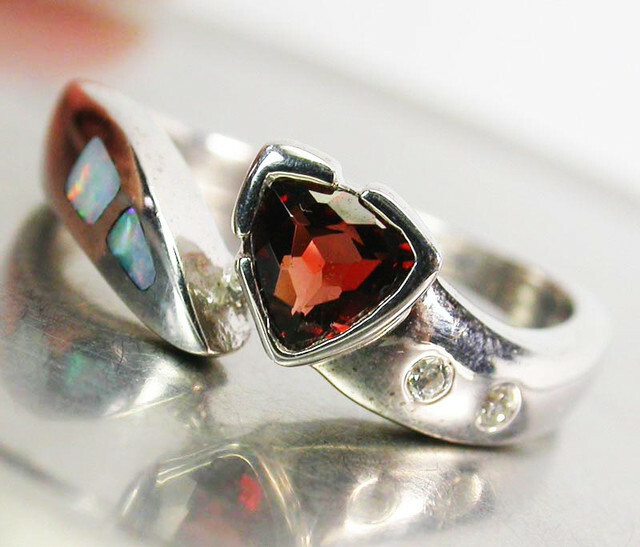 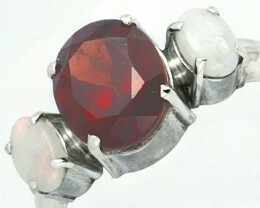 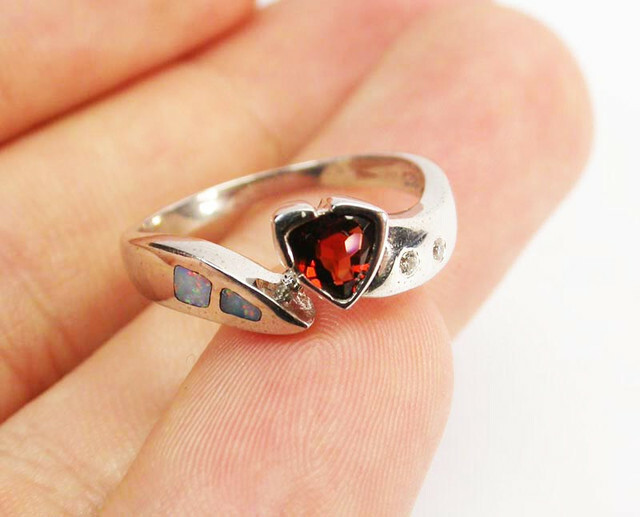 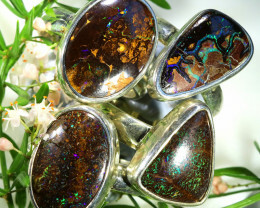 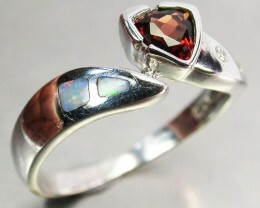 This is natural crystal opal from lightning Ridge inlaid in to a silver ring with a natural Garnet stone. 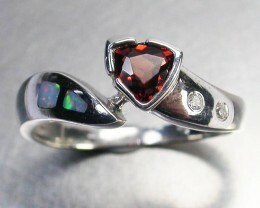 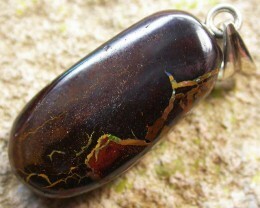 The stone has been heated to enhance it's colour. Cubic Zirconia stones added for sparkle.